Each interactive two-hour workshop will feature two highly qualified presenters. Tickets to each workshop are $20 for BPW members, $25 for non members. Free parking is available at the back of the building. Enter through the right side door. Alizza Punzalan-Randle, Community Engagement Manager, All Children’s Hospital Johns Hopkins Medicine. Oversees community relations and community benefit initiatives to improve the health status of children in a measurable way. Previously served as Eckerd College Director of Community and Media Relations. Community activities include BPW/SPP President 2014-15, South St. Petersburg Community Redevelopment Area Citizens Advisory Committee, Community Tampa Bay Board Secretary, Juvenile Welfare Board’s South County Community Council and St. Petersburg Area Chamber of Commerce’s Diversity & Inclusiveness Task Force. Kristin Smith, WMS, Associate Vice President, Investments, Wealth Management Specialist, Raymond James & Associates. Develops and implements financial plans for individuals and families with diverse goals, including retirement saving, income generation, business succession, education funding, estate planning, as well as managing over $50 million in client investment assets. Community activities include BPW, Board of Trustees Vice Chair and Finance & Investment Committee Chair for Suncoast Center, Inc., and Loan Committee Vice Chair for Project Prosper. Workshop fees are non refundable. Yvonne Ulmer,Executive and Business Coach. Provides individual and team coaching as well as organization development consulting such as, strategic planning, leadership development, team building, and conflict resolution. Previously served as St. Petersburg College Provost/CEO for 13 years and Director of Staff Development for 9 years. Community activities include Leadership St. Pete Alumni and St. Petersburg Chamber of Commerce Women’s Leadership Council. Jerri Evans, Legal Assistant at Lisa A. Hoppe, PA. Prior experience includes R’Club Child Care, Inc. and positions at numerous law offices ranging from sole practices to 50+ lawyer firms. Also served as 6th Circuit Court Judge Irene Sullivan’s judicial assistant for 12 years. 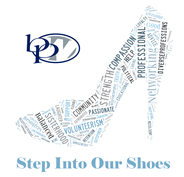 Community activities include BPW, Personal Enrichment Through Mental Health Services (PEMHS), Tampa Bay Public Leadership Institute (TBPLI), Judicial Assistants Association of Florida, and Suncoast Tiger Bay Club. Tami Simms,Real Estate Professional and Trainer for the Institute for Luxury Home Marketing. Tami has been in the business of organization, marketing and graphic design since starting her first business in 1993 and effectively uses technology in all her business activities. Tami is active in many community activities, including the Downtown Business Association and the Waterfront Parks Foundation, in addition to being a Past President of BPW/St. Petersburg-Pinellas and of BPW/Florida. Amy Dinovo, Marketing Development & Transaction Management, Coastal Properties Group. Amy is a freelance web designer, building websites for people she likes, which includes being web mistress for BPW/St. Petersburg-Pinellas. Amy actively uses social media in all her business activities and consults with individuals, non profits and small businesses. Amy is currently President-Elect for BPW/St. Petersburg-Pinellas. Gretta Paige Bellas, Client Services Director and Paralegal at Kira Doyle Law. Gretta was previously a relationship manager at Sabal Trust Company, a paralegal for a New York law firm, and held several positions in the hospitality industry—all positions which involve networking extensively. Gretta is active in many community activities, including Women’s Service League, Boley Angels, Krewe of Princess Ulele, and the League of Women Voters, in addition to being a Past President of BPW/St. Petersburg-Pinellas. Diane Dewey, Masters Degree student and freelance writer. Previously Diane was self-employed as an art appraiser after having worked at the National Academy of Art (NY) and the Solomon R. Guggenheim Museum (NY). Most recently she lived in Europe, which definitely involved networking online. Community activities include Tampa Crossroads at Rose Hall, Tierra Verde Women’s and Business Groups and Tampa Bay Watch. Founder of BEAM Adoptee Support blog. Sheila Barry-Oliver, Ed.D., retired IT/management consultant and educator. Sheila has 28 years corporate experience and 13 years teaching graduate management courses. Her doctorate in human resource development enabled her to teach about and effectively apply different behavioral and communication styles in the workplace. Kristina Fortner, Executive Director, Girls Inc. of Pinellas. Kristina has 10 years of non-profit leadership and management experience, focused on family and childhood development. In these roles, she has taught many how to set goals, as well as developing goals with employees and for organizations.